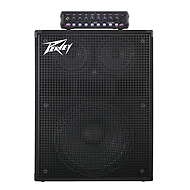 Peavey Musical Instruments and Sound Reinforcement make up the largest division of Peavey Electronics Corporation, originating with the spark that inspired Hartley's first guitar amplifier in 1957 and extending to every link in the audio chain, from guitars and amps to loudspeakers, microphones, power amplifiers and more. When Hartley Peavey officially established Peavey Electronics in 1965, he set out with guitar and bass amplifiers that not only sounded great, but also proved famously roadworthy and durable. Continual evolution has resulted in patents and innovations for products like the company's tube, solid-state and modeling instrument amplifiers and groundbreaking ReValver™ amp-modeling software. 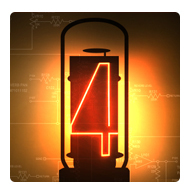 The company's vast line of tube amplifiers remains a very popular segment of the product catalog, led by the enormously successful 6505® Series. 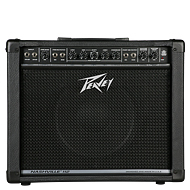 But while musical-instrument amplifiers introduced Peavey to the world, what really established the company were its advancements in the art of sound reinforcement, beginning with the original PA-3™ in 1968—a powerful and reliable public address system with a four-channel amplifier, 100 watts and two speaker columns that sold for far less than the competition. Riding the massive success of this groundbreaking P.A. 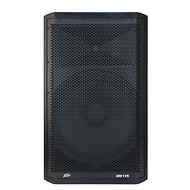 system, Peavey Electronics applied the same philosophy of offering high-quality, durable, and uniquely featured products to power amplifiers, large-scale sound systems, musical instruments, and even loudspeakers themselves. Peavey revolutionized the process of musical-instrument making by bringing CNC technology to the industry in the mid-1970s. 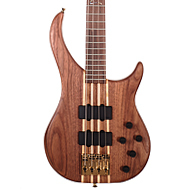 Peavey figured out how to use computers to make guitars that set a new standard for quality and consistency, and was able to offer them to musicians for far less money than the competitor's instruments. This innovation single-handedly brought instrument-making into the modern era, as Peavey's CNC practice became the industry standard. 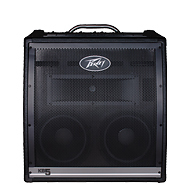 Always a proactive innovator and industry leader, Peavey continues to develop new products and categories that, without a doubt, will leave their indelible influence in the industry for a long time to come. Read more about our innovations here. 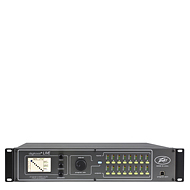 Peavey revolutionized the audio industry in 1993 with MediaMatrix, the world's first digitally configured and controlled distributed audio system. Today, MediaMatrix remains the most scalable, flexible and specified digital audio distribution and processing system, boasting more than 10,000 installations worldwide. MediaMatrix gives audio system operators the tools to configure and reconfigure networked audio systems in the world's most demanding environments on demand, whether from a computer, touch screen or even an iOS device. MediaMatrix serves the high-end audio market with the most powerful digital signal processors, software and user-control tools for creating the world's most elaborate audio systems via computer. As sophisticated as it is user-friendly, audio engineers use MediaMatrix to design systems on screen, then bring the sound design to life with a quick click of the mouse. 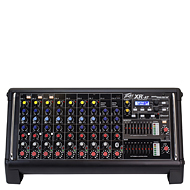 Multiple audio configurations and zones are saved as presets and recalled at a moment's notice without physically rewiring or switching out components, and every component in the house can be tweaked right from the mouse pad. It's no wonder why MediaMatrix is the leading platform for the audio, communications and integrated media industries and the established standard in configurable audio systems throughout the world. Since its debut installation in the U.S. Capitol in 1994, MediaMatrix can be found in more than 10,000 permanent installations in stadiums, casinos, government and transportation facilities, theme parks and other large venues around the world, including: the Beijing 2008 Olympic Games; the Parliament Houses of China, New Zealand, Russia and Germany; Beijing, Hong Kong and Heathrow international airports; the Bellagio, Mirage, Mandalay Bay and MGM Grand in Las Vegas; Six Flags theme parks; and many more. Architectural Acoustics brings optimized power, audio routing, loudspeakers, room combining and processing solutions to the demanding commercial sound installation industry. From the grocery to the convention center, Architectural Acoustics provides a complete audio product line for installation applications. Powerful, reliable and incredibly easy to use, Architectural Acoustics defined the concept of the complete commercial sound product line. 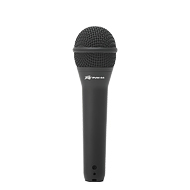 With microphones, mixers, preamps and loudspeakers, Architectural Acoustics offers an unrivaled range of products and power. 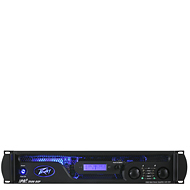 Everything is designed for easy installation and integration, and Peavey's experts work with contractors to specify the perfect system, no matter how large or small. The breadth of the Architectural Acoustics line reaches well beyond standard mixers and speakers. Exclusive Quadratic Throat Waveguide™ technology fine-tunes loudspeaker horns to eliminate distortion. The Digitool® digital signal processor offers the sophistication of PC-based hardware with or without the PC. 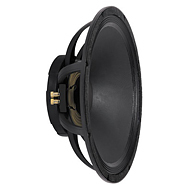 And the Sanctuary Series™ line gives houses of worship an all-in-one sound solution that even laypeople can operate. Architectural Acoustics products specialize in the art of being heard and not seen. But if you look closely into alcoves, nooks and crannies at your supermarket, house of worship, convention center or theme park, you just might spot Architectural Acoustics at work. Founded by bass players from Essex, U.K., in 1979, Trace Elliot amplifiers were the first true bass amps, replacing essentially beefed-up guitar amplifiers with designs that addressed the specific needs of bass players. Trace Elliot amps pushed low frequency further than anyone thought possible and quickly revolutionized the way the industry perceived bass amplification. Suddenly players had more control, more power and the means to achieve that elusive tight bass sound. Today, Trace Elliot covers the spectrum of amp and enclosure needs from pub-pounding combos to the 1,200-watt arena rockers used by players like Mike Kroeger of Nickelback. Trace Acoustic® revolutionized the world of acoustic instrumentation a decade later, bringing studio-quality acoustic reproduction to the stage through designs that incorporated very high-impedance piezo pickup inputs, notch filters, phantom power, DSP effects and Dynamic Correction™ circuitry. The influence of Trace Acoustic is still widely felt throughout the industry, and today acoustic musicians can experience a new generation of Trace Acoustic models still endowed with their original engineering genius. 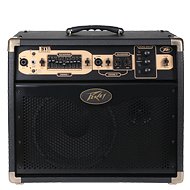 As a Peavey company, Trace Elliot's legendary amplifiers and cabinets are still designed in the U.K., and built in Peavey's world-class manufacturing facility in the U.S.A.
Composite Acoustics revolutionized the acoustic guitar market with the introduction of instruments built entirely from composite materials featuring stunning weaved soundboards, surprising volume, incredible tonal clarity and chiming sustain. 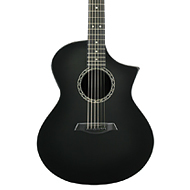 Carbon fiber allows Composite Acoustics to create a guitar that is more consistent than any other acoustic guitar on the planet—no matter the climate conditions, since carbon fiber is impervious to the elements. 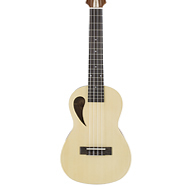 The nature of carbon fiber produces an instrument that stays in tune longer than wood and never needs adjustment. The Composite Acoustics process entails extensive handcrafting and a multi-stage finishing process with proprietary acoustic materials and processes that create individual instrument character. By varying the carbon fiber material density in different areas of the body, Composite Acoustics instruments achieve a finely tuned tone that is consistent from instrument to instrument. Carbon fiber construction and heelless neck joints also allow for instrument shapes not possible with wood. Composite Acoustics guitars are as much fun to play in a studio or on stage as they are on a mountaintop, at the beach or on the front porch. 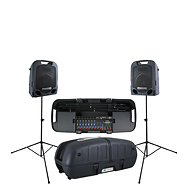 Crest Audio's product line quickly established a reputation within the industry as innovatively rugged pro audio solutions capable of logging millions of road miles, while stadiums around the world adopted the company's NexSys® computer-based network. 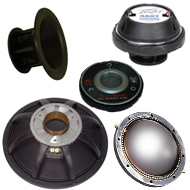 A testament to Crest Audio's heritage of quality, these products have outlasted most of the bands they toured with. 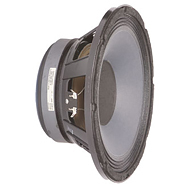 Crest Audio is a company after Peavey's own heart, so it made perfect sense when Peavey acquired Crest in 1999. Still sold under the strong Crest Audio name, the product line continues to deliver more features and more reliability than ever. Tone is an elusive thing. 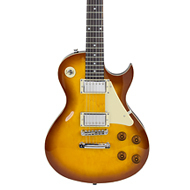 Guitar players know that it can be hard to define, and even harder to find. But when you get it, you never look back. Budda Amplifiers specialize in creating unique tonescapes that balance warm tube gain stages with defined, responsive attack. Our proprietary Dual Class Hot Bias Circuit combines the best characteristics of class A and class AB operation to produce lively tones defined by massive dynamics and complex overtones in second and third harmonics, with plenty of separation to let your guitar sing. These breakthrough tones of Budda Amplification sparked the low-wattage revolution in guitar amps during the mid '90s with the handwired Budda Twinmaster™. The innovation continues today with the Superdrive™ II Series, which combines our famous power, punch and clarity to outperform and outclass other amplifiers, and the high-gain showpiece Mark Nason® amplifier and enclosure. Budda constantly engineers forward, maintaining a focus on high performance and attention to detail—and that's why Budda continues to receive coveted awards such as the Guitar Player Editor's Pick for tone and workmanship.